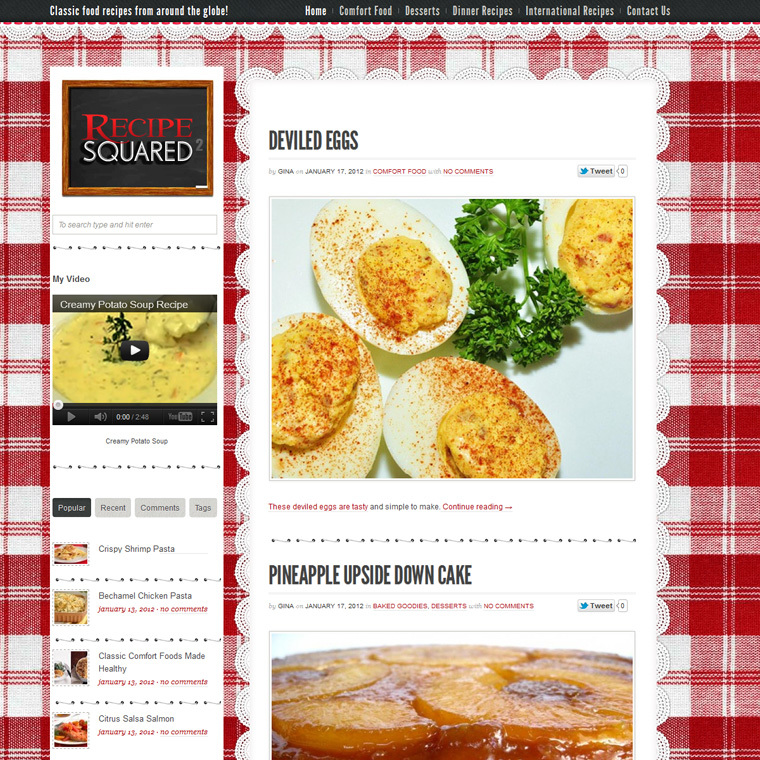 This blog was designed for the site recipesquared.com. It featured large images and a custom home-style country table concept I created specifically for this project. View this recipe design client project now, or click on the image below.